VideoMach is a audio/video builder and converter, that will allow you to build video clips from still images, add background music to your videos, extract audio tracks and images from movies, and to convert between media file formats. You can also change the compression, frame rate, color depth, audio format and resize your clips in various ways, including widescreen without deforming your content. In addition, you can enhance and correct your video clips with dozens of filters including sharpen, emboss, gamma correction, brightness, contrast, saturation and many others. Other features include conversion between PAL and NTSC, thumbnail creation and more. 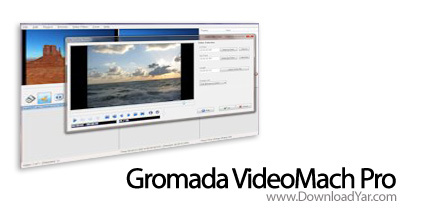 VideoMach supports all popular audio and video formats, including AVI, FLIC, MPEG and HAV.